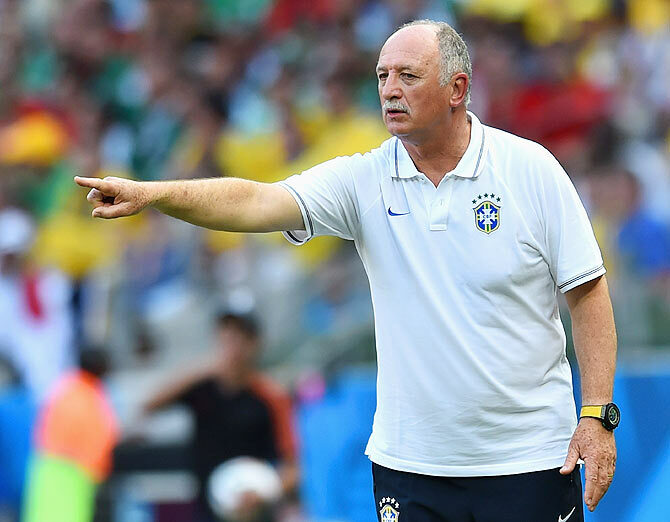 Rediff.com » Sports » World Cup sidelights: Brazil websites run interview with Scolari look-alike! World Cup sidelights: Brazil websites run interview with Scolari look-alike! It's a World Cup reporter's dream. You board a plane and who's on the flight with you? Luiz Felipe Scolari, the coach of Brazil's national soccer team. Or at least that's what Mario Sergio Conti, one of Brazil's best-known syndicated columnists, thought on Wednesday on a flight from Rio de Janeiro to Sao Paulo. Instead, it turned out to be Vladimir Palomo, a Scolari look-alike who proceeded to give Conti an interview as if he were Big Phil himself. In the interview, Palomo praised young striker Neymar, cited the Netherlands, Germany and Italy as tough rivals for Brazil, and voiced surprise at Spain's early elimination from the World Cup. He also said he remained confident in Brazil's chances despite Tuesday's scoreless draw with Mexico. Three of Brazil's most-read news websites -- Folha de S.Paulo, O Globo and UOL -- all published the interview on Wednesday evening. Hours later, when it emerged that Scolari had spent the day in Fortaleza and hadn't been on the flight, all three promptly took down the interview and published apologies for the mix-up. Palomo, as it happens, makes money on the side as a Scolari look-alike at events. A street demonstration in Brazil's biggest city ended in violence on Thursday as anti-government protesters vandalized cars and banks and police responded with tear gas. The protest turned violent just as a World Cup game between England and Uruguay was ending roughly 15 miles (25 km) away on the other side of Sao Paulo. There were no initial reports of injured protesters, a police spokeswoman said, or of foreign soccer fans getting caught up in the violence. The march started off peacefully as roughly 1,300 people commemorated the one-year anniversary of successful efforts to prevent a transit fare hike. Later, some protesters began breaking storefront windows and setting fires. Television images showed groups of masked men spray painting graffiti on cars, firing off rockets and smashing public property as police responded with tear gas. While a number of anti-government protests have broken out in Brazil since the World Cup began, most have been on a much smaller scale. Recent protests, including a demonstration on Wednesday in Sao Paulo over low-income housing, have been non-violent. A police spokeswoman said she was unable to provide detailed information on the extent of the damage or efforts to control the violence. 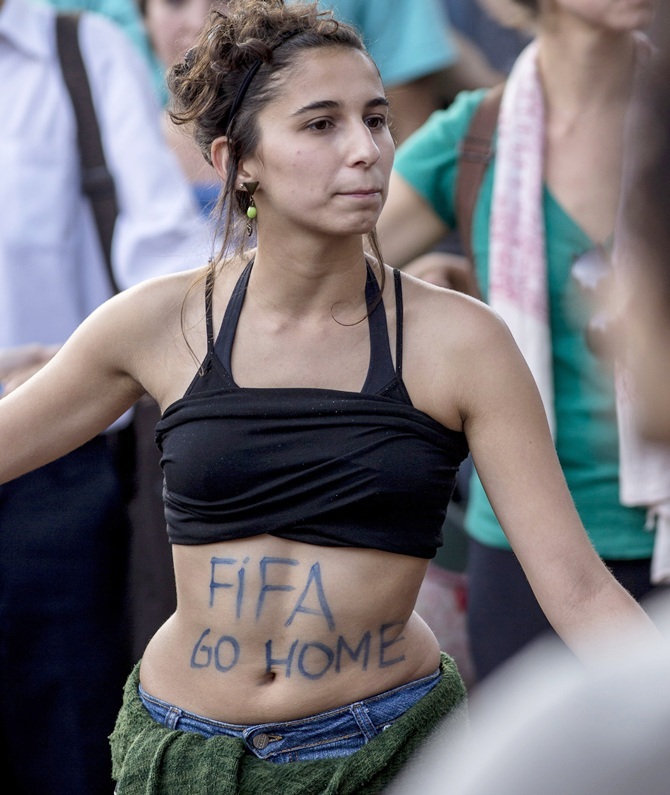 A wave of protests last June drew hundreds of thousands of Brazilians into the street over a range of grievances, including poor public services, corruption, and excessive spending on mega-events such as the World Cup. While a small minority of the protesters on Thursday chanted anti-World Cup slogans, most focused on highlighting the group's success in preventing a roughly 10 cent increase in transport fares last year. "This protest today isn't against the Cup but more of a commemoration of what happened a year ago," said Ana, a protester who declined to give her last name. "We took to the streets today to show that we were victorious a year ago but also to reinforce that our goal is free transportation for all." The protest shut down one of the city's main thoroughfares, though the impact of traffic was limited due to a national holiday on Thursday. 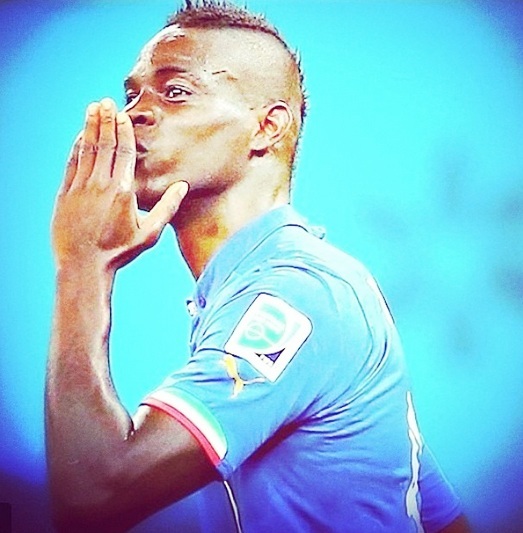 Mario Balotelli made a proposal on his Twitter account that he wants a kiss from the Queen if Italy helps England stay in the on-going World Cup, according to reports. Balotelli, who scored against England as Italy won the first game of Group D 2-1, said he wanted to receive the royal reward if his side wins their game tomorrow, the Mirror reported. 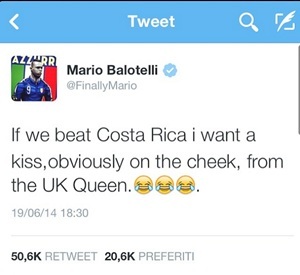 The Italian pro tweeted that they if they beat Costa Rica, he wanted a kiss, obviously on the cheek, from the UK Queen. The former Manchester City striker made the proposal on his Twitter account just minutes after England had crashed to a 2-1 defeat against Uruguay. The bold comment went viral and was soon retweeted an astounding 85,000 times.